The feature is a set of regular expressions located in lib/neo-security.xml that replaces the tags: object, embed, script, applet, and meta with the tag name InvalidTag when they are passed as in put in the Form, URL, CGI, and Cookie scopes (you can pick which ones to check). It recently came to my attention however that scriptProtect does not protect against all possible types of cross site scripting attacks, as you may have assumed. 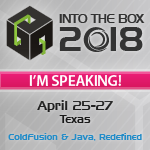 We've forwarded your input to the development team and they have logged a bug that they will consider fixing for future updates of ColdFusion. At the moment, we feel that the documentation provided is sufficient to let our customers know what the scriptprotect attribute does and does not protect against. The scriptprotect attribute is meant to supplement to best-coding practices; it provides an easy way to filter out certain tag names, but is not meant to be a comprehensive solution against XSS attempts. I didn't find the documentation to sufficiently explain what was stated in the second paragraph there, so I added it to the live docs. The customer needs to understand all types of cross site scripting attacks in order to deduce that the feature doesn't catch all cases. You can pretty easily add iframe to the XSS regular expression, but you still won't be safe from all possible attacks. It's funny, becase there are many XSS holes on the Macromedia.com site itself. Maybe they should enable that attribute themselves! haha. some time our site give this error 'ScriptProtect error replacing insecure tag' this seems to ColdFusion bug. how can we get over it.